When spending long, tough winter days out on the mountain, staying warm and dry is vital and staying fresh is a bonus – which is why this woman's technical thermal baselayer pant is permanently protected with Effect by Odlo odour-banishing antibacterial silver. 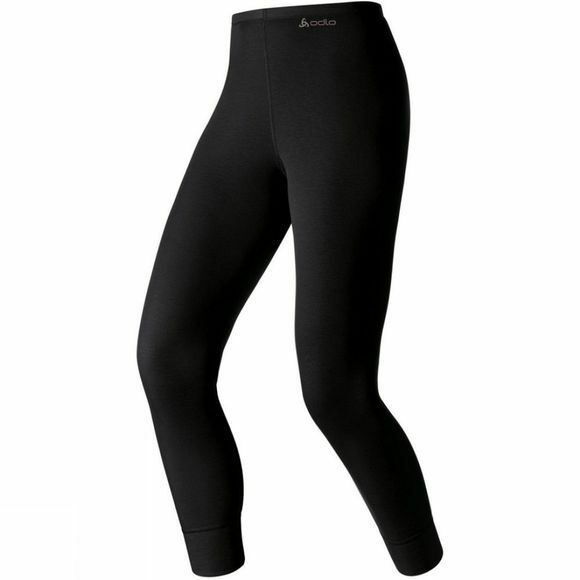 Crafted with super-soft and technical polyester, these fast-drying thermal leggings feature a soft-brushed lining that not only feels great next to your skin, but also enhances the fabric's thermal insulation and moisture-wicking capabilities. Meanwhile, flat-stitched seams and a longer cut at the back guarantee a snug, chafe-free fit that keeps out cold drafts. Designed for high-energy activities in colder temperatures, our WARM pants deliver all the warmth and moisture management you expect from an Odlo first layer.